hd00:28Baker cutting leavened bread dough ready to be cooked. hd00:12Intensively farmed pigs in batch pens. HD 1080p. hd00:06Meat industry. boning pork carcasses. 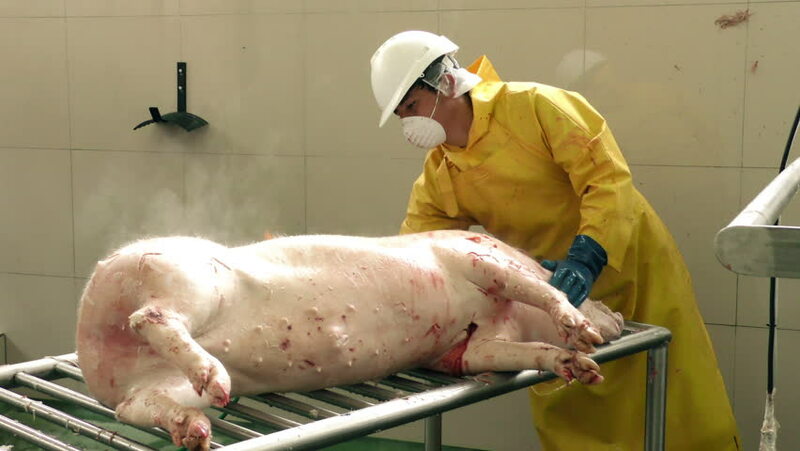 butcher cuts pork carcasses in a meat factory. The division of meat into varieties. Shooting the skins with small pieces of meat.